Brookside Insurance opened July 1, 2000. 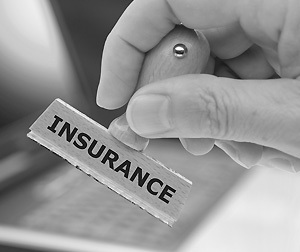 The staff at Brookside Insurance has several decades of insurance expertise. Today, Brookside Insurance is a local leader in technology and innovation when it comes to insurance services. Honest, trustworthy agency you can trust. Even in its brief history, Brookside Insurance has been recognized for several quality insurance awards from companies including Auto Owners, Allstate, Progressive, Michigan Insurance and Allied. Our slogan is, "Quality Insurance for Quality People!". We truly believe that insurance does not need to be an upsetting and uncomfortable experience. It would be our pleasure to remove your insurance concerns. Stop and see us! Our mission is simple - To provide "Quality Insurance for Quality People". Protecting your assets with the right coverage at the correct rate is what we do. No gimmicks. No games. Just affordable insurance coverage - the way it was supposed to be. So, if you are in the market for auto, home, life, or commercial insurance, you are in the right spot. Contact us and we're prepared to show you, "Quality Insurance for Quality People!" Homeowners’ insurance policies are a safety net, one that allows you to avoid something as devastating as homelessness should disaster strike. Most policies cover not only the physical structure of the home, but also the items inside the home, such as heirlooms, electronics, fitness equipment, and more. Something else that many homeowners’ insurance policies cover is liability. This means that should you end up needing to pay out in a civil suit regarding injuries or property damage caused by you, your family, or your pets, the policy should end up paying it for you. We can help you secure any of the six types of auto insurance available on the market: collision coverage, comprehensive coverage, uninsured/underinsured motorist coverage, medical coverage, and personal injury protection or PIP. These policies can cover property damage, liability, and medical coverage, depending on what you are looking for and what is required by law and by your lender, if you have one. Have you ever thought about what your family would do in the event that you passed away? It is a morbid thought to have, but if you are an adult with children or a partner to care for, or with debt that could fall back on your family, it is something you have to consider. The best way to protect your family in the event of your passing is to have a life insurance policy. You can choose the amount of coverage you want, so you need to consider what all must be covered by the amount that would be paid out.